I just wanted to share what my daughter Emily did for her best friend yesterday afternoon. 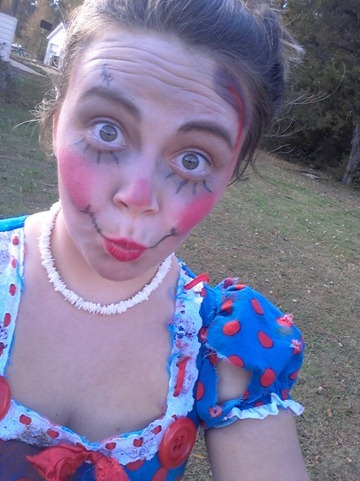 Her BFF was going to be a zombie Raggedy Ann for a Halloween party and asked Emily to do her makeup. This is the final result. She looked amazing! She was scary cute! I think Emily has a future with makeup.